This page provides you with practical information about our practice. It includes descriptions of our office location, including a map and directions, hours, appointment scheduling and billing policies. Please call us today to schedule your next visit (315) 342-1010. If, for any reason you cannot keep a scheduled appointment, or will be delayed, please call us as soon as possible. Our policy is to kindly request payment for office visits and treatment at the time service is rendered. For your convenience, we accept checks, cash or debit/credit cards. If an extensive treatment plan is needed, our office will obtain prior approval with your insurance company for your convenience and set up arrangements if needed. Our office consistently invests in our facilities and technology to continue to provide high quality care for our patients. Schick 33 provides dentists with unsurpassed image quality. This new intraoral digital sensor, which has a theoretical resolution limit of 33 line pairs, the highest available on the market, is paired with newly enhanced imaging software that enables dentists to review, store and share images from a variety of clinical perspectives. 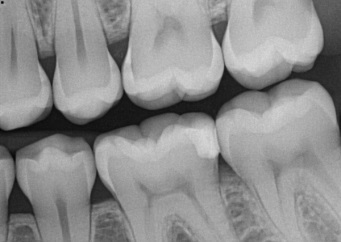 This combination of enhanced hardware and software provides the dentist with the best possible image quality. Left (OLD): BW with CDR Sensor, Right (NEW): BW with Schick 33 Sensor. Source: Inside Dentistry, AEGIS Communications.